This is a well cared for Kurt Hughes 57' sailing catamaran built at Olympic Boatyard in Port Townsend Wa. launched 1997. The construction is wood/epoxy composite using the Kurt Hughes CM (cylindrical molding) technique With an impressive length of approximately 57 ft. and a beam of 29.5 ft. she makes for a very comfortable liveaboard which is still easy to single hand which all sheets running to the cockpit. And with a 5ft draft with rudders down and dagger boards at halfway down she can get into those secluded places where others can not. With the dagger boards down to 81/2 feet she handles the blue water in comfort. This boat is also self sufficient in that she has a 40 gph. water maker and 580 watts of solar panels with a blue sky controller, a 3kw xantrex charger/inverter and six new gel batteries new in 2018. This vessel is not Bahamas Duty Paid and is in the country on a valid cruising permit. She can not be sold to a resident of the Bahamas without the payment of import duties. 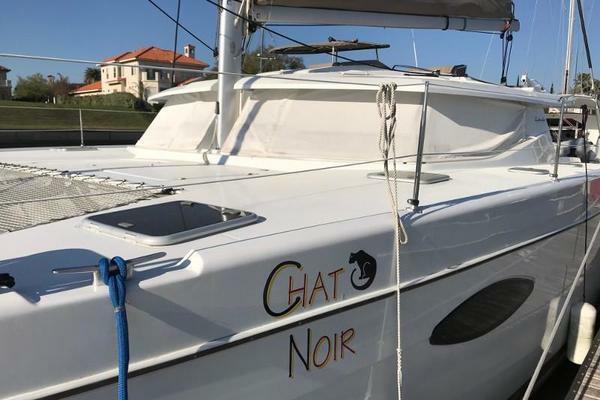 United Yacht Sales New Jersey would love to guide you through a personal showing of this 57' Hughes Catamaran 1997. 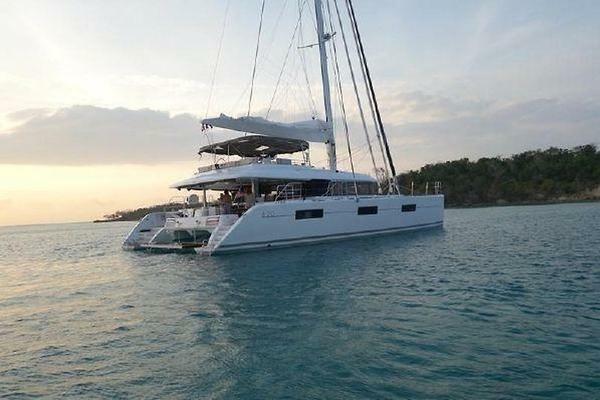 This yacht for sale is located in Bradford Marine in Freeport bahamas Bahamas and priced at $295,000. For a showing please contact us by filling out the form on this page and we will get back to you shortly!